What Is a RAC Audit? If you and your medical practice accept patients who are insured by Medicare or Medicaid and you bill for their services to CMS, you may very well have a RAC audit in your future. By now, most experienced health care providers have at least heard of a RAC audit. But what you may not realize is that they are happening more frequently as of 2017 – a lotmore frequently. They can have a crippling profit impact on your hospital or medical practice, and they can even have long-term consequences for your career. In fact, RAC audits may be one of the most overlooked risk exposures in the medical industry. They shouldbe a part of every practice’s risk management protocols, but too often, they still are not. RAC stands for Recovery Audit Contractor. In other words, a RAC is a third-party, private, for-profit company that is contracted (i.e., hired) by the government to crack down on Medicare / Medicaid fraud, waste, and abuse. Why Are RAC Audits Such a Big Concern? Compliance can be costly, resource-intensive, and overwhelming for providers. These audits can come at any time with little to no warning. The same hospital or medical practice can be subjected to multiple or ongoing RAC audits. CMS pays RAC on a contingency basis, so the RAC is financially motivated to find evidence of overpayment. RACs’ audit determinations are frequently overturned on appeal – especially if the provider is represented by an experienced RAC audit defense attorney. This means that providers must choose between eitherpaying huge amounts of money based on a determination that may be biased and inaccurate, orgoing through a lengthy and demanding appeals process. These concerns are well documented, have been voiced by numerous organizations within the health care industry, and have even been supported by several studies. In fact, the very first rounds of RAC audits between 2010 and 2013 resulted in RACs alleging tens to hundreds of millionsof dollarsin CMS overpayments (jumping from $75.4 million in the first fiscal year, 2010, to $797.4 million in 2011 and then $986.2 million in the first halfof 2012 alone) — and many of those initial assessments are stillbottlenecked in the appeals process years later. Nevertheless, CMS awarded new RAC contracts in November 2017, and there is every indication that these audits will continue to grow more frequent, more cumbersome, and more costly for medical providers. What Prompts a RAC Audit? It is important to understand that a RAC audit is not necessarily a one-time proposition, nor do these audits happen at regularly scheduled intervals. Who Can Be Subjected to a RAC Audit? What Is the Basis for RAC Determining Overpayment to Your Practice by CMS? My Practice Does Everything Right. Why Should We Worry About a RAC Audit? Most of the medical organizations that have been targeted in RAC audits are upstanding, honest, and ethical institutions. You do not have to be engaged in fraud to come under RAC audit. In fact, while RAC audits can lead to fraud investigations by federal agencies or vice versa, the RAC’s principal role is to identify and collect overpayments by CMS. Even ethical practices can make honest mistakes. A simple error in billing codes could trigger an audit. Likewise, many practices that were trying in earnest to comply with CMS policy and federal law have nevertheless been unfairly named in a qui tam lawsuit, a whistleblower report, or a complaint to CMS. 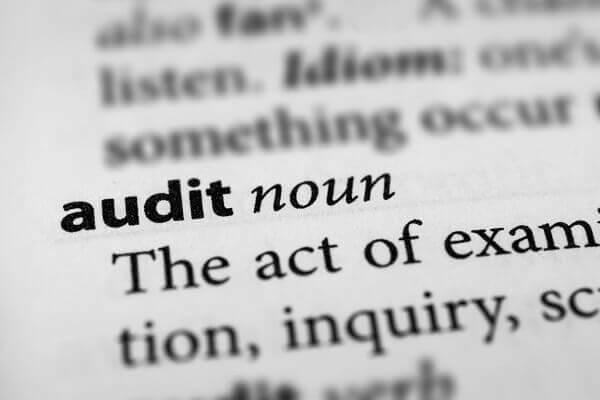 You may even be audited for no apparent reason outside of a regular, ongoing review process. Therefore, allmedical providers should anticipate being audited by a RAC and prepare accordingly. How Extensive Is a RAC Audit? More extensive than you may realize. A RAC audit can reach back as far as three years, and it can request up to 400 files per campus every 45 days. “Campus” means facilities organized under the same Tax Identification Number (e.g., FEIN) and located within the same area (that is, if the first three digits in the zip code match). So your practice could have two or more facilities in the same zip code (next door to each other, even) that are organized under different FEINs for tax purposes, and you’d then be looking at 800 or more document requests every 45 days — even if those buildings are clearly part of the same “campus” to any reasonable mind. Since it’s somewhat common for providers to organize under more than one FEIN, this can be a real concern. Remember: most RACs get to keep up to 12.5% of the funds they successfully collect as overpayment. That bounty is a powerful incentive for them to hunt aggressively for any potential overpayment. Theirquest for profit can have a crippling impact on your ability to make profit. That’s fundamentally unfair, especially in the absence of fraud. But an experienced RAC audit defense lawyer can help you to minimize the impact of an audit and the likelihood of adverse outcomes. Oberheiden, P.C. is a federal defense law firm with many years of experience working specifically with health care audits, including RAC audits. Our attorneys are former federal prosecutors who carried out audits in the health care industry and prosecuted medical professionals for fraud. Today, however, we use our experience to defenddoctors, hospitals, and care providers. We know how aggressive the government can be, and we’re here to fight on your side. You can count on Oberheiden, P.C. for strategic and aggressive legal defense. Our goal is to end audits, avoid prosecution, and protect your good standing — both professionally and financially. We have a long track record of doing just that – even in many cases with the toughest odds, where our clients assumed success was impossible. Don’t make assumptions about your legal rights or outcomes until you contact us. If you are under RAC audit anywhere in the United States, we can help. But you should take action now. Our federal RAC audit defense attorneys are available seven days a week, even on weekends, to talk about your case and how we can make a difference. Contact us today. RAC Audit Defense Law Firm – Oberheiden, P.C.